The word "charity" entered the English language through the Old French word "charité", which was derived from the Latin "caritas". Charitable giving is the act of giving money, goods or time to the unfortunate, either directly or by means of a charitable trust or other worthy cause. Charitable giving as a religious act or duty is referred to as almsgiving or alms. The name stems from the most obvious expression of the virtue of charity; giving the recipients of it the means they need to survive. The impoverished, particularly those widowed or orphaned, and the ailing or injured, are generally regarded as the proper recipients of charity. The people who cannot support themselves and lack outside means of support sometimes become "beggars", directly soliciting aid from strangers encountered in public. Some groups regard charity as being distributed towards other members from within their particular group. Although giving to those nearly connected to oneself is sometimes called charity—as in the saying "Charity begins at home"—normally charity denotes giving to those not related, with filial piety and like terms for supporting one's family and friends. Indeed, treating those related to the giver as if they were strangers in need of charity has led to the figure of speech "as cold as charity"—providing for one's relatives as if they were strangers, without affection. In the past century, many charitable organizations have created a "charitable model" in which donators give to conglomerates give to recipients. Examples of this include the Make a Wish Foundation (John Cena holds the title for most wishes granted by a single individual, with over 450 wishes) and the World Wildlife Fund. Today some charities have modernized, and allow people to donate online, through websites such as Xperedon or Just Giving. Originally charity entailed the benefactor directly giving the goods to the receiver. This practice was continued by some individuals, for example, "CNN Hero" Sal Dimiceli, and service organizations, such as the Jaycees. With the rise of more social peer-to-peer processes, many charities are moving away from the charitable model and starting to adopt this more direct donator to recipient approach. Examples of this include Global Giving (direct funding of community development projects in developing countries), DonorsChoose (for US-based projects), PureCharity, Kiva (funding loans administered by microfinance organizations in developing countries) and Zidisha (funding individual microfinance borrowers directly). Critics of charitable giving contend that simply transferring gifts or money to disadvantaged people has negative long-term effects. The online microlending organization Zidisha published a blog post which contended that providing handouts can actually cause harm by incentivizing lack of progress out of poverty, and by creating a dependence mentality among recipients. According to Zidisha, microfinance lending is a better alternative than donations, because it incentivizes successful investment of the funds and creates a can-do mentality on the part of recipients. When, confronted with the starving child, we are told: "For the price of a couple of cappuccinos, you can save her life! ", the true message is: "For the price of a couple of cappuccinos, you can continue in your ignorant and pleasurable life, not only not feeling any guilt, but even feeling good for having participated in the struggle against suffering!" —  Slavoj Žižek (2010). Living in the End Times. Verso. p. 117.
streets are haunted by swarms of beggars, who try to awaken the pity of the passers-by in a most shameless and annoying manner, by exposing their tattered clothing, sickly aspect, and disgusting wounds and deformities. I should think that when one not only pays the poor-rate, but also contributes largely to the charitable institutions, one had done enough to earn a right to be spared such disagreeable and impertinent molestations. is charitable out of self-interest; it gives nothing outright, but regards its gifts as a business matter, makes a bargain with the poor, saying: "If I spend this much upon benevolent institutions, I thereby purchase the right not to be troubled any further, and you are bound thereby to stay in your dusky holes and not to irritate my tender nerves by exposing your misery. You shall despair as before, but you shall despair unseen, this I require, this I purchase with my subscription of twenty pounds for the infirmary!" It is infamous, this charity of a Christian bourgeois! The Institute of Economic Affairs published a report in 2012 called "Sock Puppets: How the government lobbies itself and why", which criticised the phenomenon of governments funding charities which then lobby the government for changes which the government wanted all along. In medieval Europe during the 12th and 13th centuries, Latin Christendom underwent a charitable revolution. Rich patrons founded many leprosaria and hospitals for the sick and poor. New confraternities and religious orders emerged with the primary mission of engaging in intensive charitable work. Historians debate the causes. Some argue that this movement was spurred by economic and material forces, as well as a burgeoning urban culture. Other scholars argue that developments in spirituality and devotional culture were central. For still other scholars, medieval charity was primarily a way to elevate one's social status and affirm existing hierarchies of power. In Judaism, tzedakah—a Hebrew term literally meaning righteousness but commonly used to signify charity—refers to the religious obligation to do what is right and just. Because it is commanded by the Torah and not voluntary, the practice is not technically an act of charity; such a concept is virtually nonexistent in Jewish tradition. Jews give tzedakah, which can take the form of money, time and resources to the needy, out of "righteousness" and "justice" rather than benevolence, generosity, or charitableness. The Torah requires that 10 percent of a Jew's income be allotted to righteous deeds or causes, regardless if the receiving party is rich or poor. In Islam this is called Zakat, and is one of the five pillars upon which the Muslim religion is based, 2.5% of one's saving is to be given as Zakat per Islamic calendar year. The practice of charity is called Dāna or Daana in Hinduism, Buddhism and Jainism. It is the virtue of generosity or giving. Dāna has been defined in traditional texts, state Krishnan and Manoj, as “any action of relinquishing the ownership of what one considered or identified as one's own, and investing the same in a recipient without expecting anything in return”. Karna, Mahabali and Harishchandra are heroes also known for giving charity. The earliest known discussion of charity as a virtuous practice, in Indian texts, is in Rigveda. According to other ancient texts of Hinduism, dāna can take the form of feeding or giving to an individual in distress or need. It can also take the form of philanthropic public projects that empower and help many. Dāna leads to one of the perfections (pāramitā). This can be characterized by unattached and unconditional generosity, giving and letting go. Historical records, such as those by the Persian historian Abū Rayḥān al-Bīrūnī who visited India in early 11th century, suggest dāna has been an ancient and medieval era practice among Indian religions. ↑ Black's Law Dictionary (6th ed. West 1990). ↑ Dunn, Alison (2000). "As 'cold as charity'? :* poverty, equity and the charitable trust". Legal Studies. 20 (2): 222–240. doi:10.1111/j.1748-121X.2000.tb00141.x. ↑ "About to send a donation? Think twice.". Huffington Post. January 18, 2014. ↑ Oscar Wilde (1891). The Soul of Man under Socialism. ↑ The Condition of the Working Class in England (1845), Penguin edition (1987), p. 277. 1 2 Tzedakah vs The Myth of Charity; by Yanki Tauber; Retrieved 03-11-2012. ↑ Krishnan & Manoj (2008), Giving as a theme in the Indian psychology of values, in Handbook of Indian Psychology (Editors: Rao et al. ), Cambridge University Press, ISBN 978-8175966024, pages 365–366. ↑ R Hindery, Comparative ethics in Hindu and Buddhist traditions, The Journal of the International Association of Buddhist Studies, Vol 2, Number 1, page 105. ↑ Anushasana Parva, Section LIX The Mahabharata, Translated by Kisari Mohan Ganguli, pages 310–311. ↑ Anushasana Parva, Section LVIII The Mahabharata, Translated by Kisari Mohan Ganguli, Published by P.C. Roy (1893). ↑ Sanjay Agarwal (2010), Daan and Other Giving Traditions in India,ASIN B00E0R033S, pages 54–62. ↑ Kota Neelima (2012), Tirupati, Random House, ISBN 978-8184001983, pages 50–52; Prabhavati C. Reddy (2014), Hindu Pilgrimage: Shifting Patterns of Worldview of Srisailam in South India, Routledge, ISBN 978-0415659970, page 190. ↑ Tsong-kha-pa (2002). Joshua Cutler; Guy Newland, eds. The Great Treatise on the Stages of the Path to Enlightenment, Volume II. Canada: Snow Lion. ISBN 1-55939-168-5. : 236, 238. ↑ Alberuni's India (v. 2), Chapter LXVII, On Alms and how a man must spend what he earns, Columbia University Libraries, London : Kegan Paul, Trübner & Co., (1910), pages 149–150. ↑ Maria Heim (2004), Theories of the Gift in Medieval South Asia: Hindu, Buddhist, and Jain, Routledge, ISBN 978-0521605137, pages 4–6. Davis, Adam J. "The Social and Religious Meanings of Charity in Medieval Europe"History Compass (2014) 12#12 PP 935-950. Jones, Colin. "Some recent trends in the history of charity." in Martin J. Daunton, ed., Charity, Self-Interest and Welfare in the English Past (1996) pp: 51-63. Jordan, W. K. The Charities of London, 1480-1660: The Aspirations and the Achievements of the Urban Society (1960). Morris, Andrew. "How the State and Labor Saved Charitable Fundraising: Community Chests, Payroll Deduction, and the Public–Private Welfare State, 1920–1950." Studies in American Political Development 29.01 (2015): 106-125. Roddy, Sarah, Julie-Marie Strange, and Bertrand Taithe. "The Charity-Mongers of Modern Babylon: Bureaucracy, Scandal, and the Transformation of the Philanthropic Marketplace, c. 1870–1912." Journal of British Studies 54#1 (2015): 118-137. Sabra, A. Poverty and Charity in Medieval Islam: Mamluk Egypt, 1250-1517 (2000). 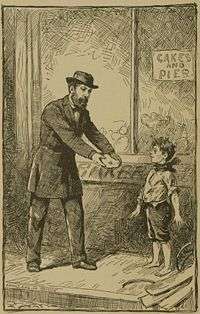 Look up charity in Wiktionary, the free dictionary. Catholic Encyclopedia "Charity and Charities"
Jewish Encyclopedia "Charity and Charitable Institutions". Roberts, Russell (2008). "Charity". In David R. Henderson (ed.). Concise Encyclopedia of Economics (2nd ed.). Indianapolis: Library of Economics and Liberty. ISBN 978-0865976658. OCLC 237794267.